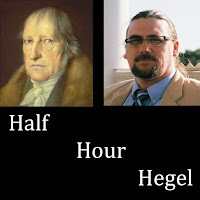 One of the most productive aspects of holding monthly online Q&A sessions as a perk for my Patreon supporters of this project is getting asked questions that really do need to be asked and answered, given that the main purpose of the video series (and the associated activities) is to help people productively study and learn Hegel's Phenomenology. It's occurred to me that I ought to start writing down the responses that I give, for two main reasons. First, they're not being recorded in these sessions, and every once in a while, I surprise myself by coming up with an interesting response or explanation. Second, and more importantly, with quite a few of the questions, if one person is asking them, they're likely to bear upon issues that many other people wonder about as well. This first one was asked by Thao Nguyen -- and it's a question I've addressed before in a different setting (in one of my 10 Short Clips videos) -- about the relation between Jean-Paul Sartre's and G.W.F. Hegel's use of the same terminology, specifically the "in-itself" and "for-itself". Are both philosophers in effect meaning the same thing when they use these terms in the course of their magna opera, Being and Nothingness and the Phenomenology of Spirit? An excellent question, not least since it's natural to assume that since Sartre explicitly draws upon and references Hegel at various points, he would be using the term in roughly the same way. But the answer is a clear NO, and for two reasons. The first is that if you look at what Hegel and Sartre do with these categories, their uses are quite different. 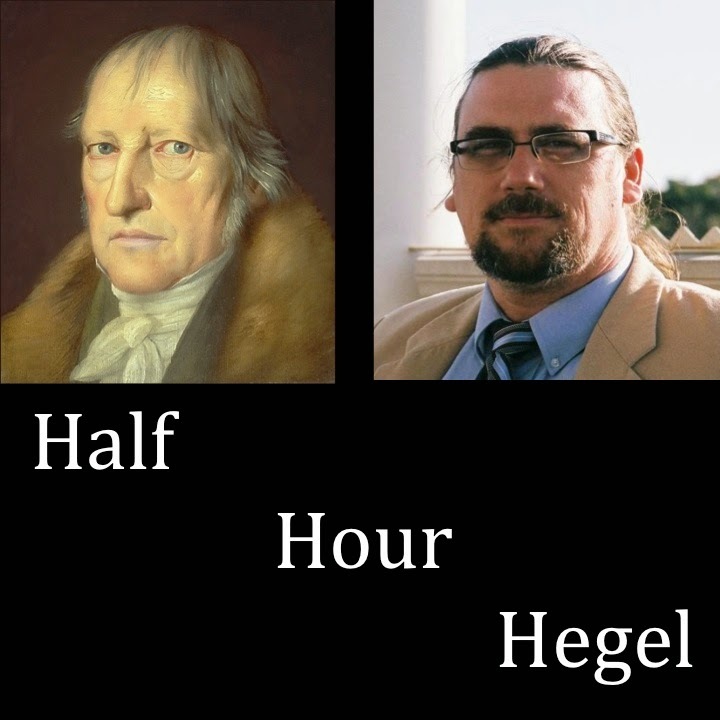 Hegel will bring up the for-itself, the in-itself, as well as for-another, for-us, and even in-and-for-itself at numerous points in the Phenomenology. But these are, so to speak, ways of being, or of looking at matters, that arise within the dialectical process -- the for-itself doesn't typically remain for-itself (or for-another, or . . . ) all that long. It's almost the opposite for Sartre. The for-itself is not the in-itself, and will never be it, or even swap places with it. Hegel's use of them is dynamic, fluid -- Sartre's use, however interesting, even brilliant, accords a kind of fixed and static status to them. The second is that, for Sartre, being for-itself, i.e. consciousness, and being in-itself are some of the most fundamental metaphysical categories within his larger philosophical scheme. That's not really the case for Hegel's use of these terms. We can say, of course, that Sartre's views upon consciousness do owe something to Hegel's own discussion of self-consciousness -- the whole dialectic of recognition, essentially a doomed one in Being and Nothingness, for example. But, these terms have a different status, a different level of basic importance, for the two thinkers. I came up with a useful analogy, which I'd like to share here. I remember back in high school and college that there were quite a few students who would study French and Spanish -- and these are English-language students we're talking about, so what I'm saying may very well not apply to others. There were some students who after acquiring some proficiency in French, reasoned that learning another Romance language would likely not be that difficult -- and conversely, others who wanted similarly to parley their Spanish expertise into studying French. Typically, those who had studied French didn't have as much difficulties in learning Spanish as those who had earlier acquired Spanish had in learning French. There was an asymmetry at work -- possibly it had to do with the more archaic structure French possesses, both in terms of verb tense and in terms of orthography, by comparison to Spanish. I suggested in my answer that analogously, at least with respect to the in-itself and for-itself, its easier in some ways to go from Hegel to Sartre than to do the converse. And, I think this has to do with the fact that for Hegel, these are used rather dynamically, while for Sartre, these are established as static categories within his more encompassing metaphysics. Thank you for your effort, Dr. Sadler! It's only fair that we do our homework, too! Hahaha! An excellent response -- not one I can say that I get from all of my college students! On another note, there's more than one good question that came out of that session, so I should be the one thanking you. Sorry I missed the session but been on the road and have a bit of catching up to do it seems! We're Finished With The Section "Perception"!